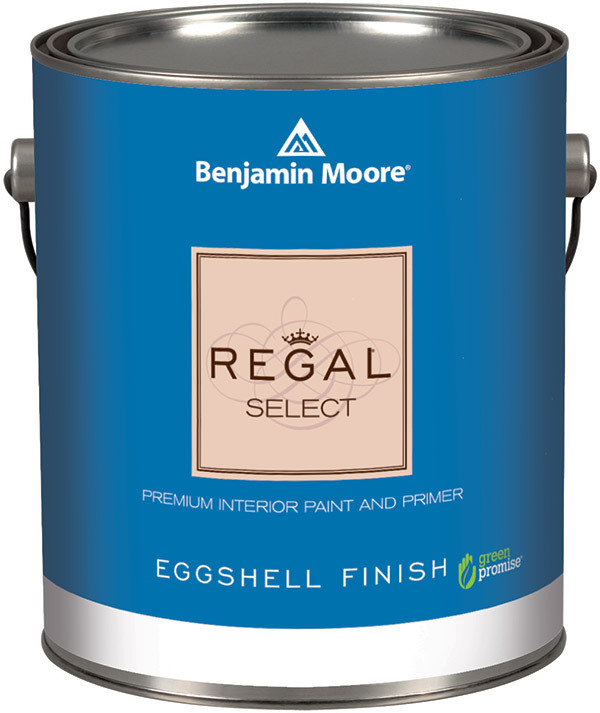 Regal Select is the go-to gallon for decorators and DIYers alike. Why? If there was ever a paint to get excited about, Regal is it. Once you’ve tried it, it will be hard to go back to just “any old paint.” Regal Select is the go-to gallon for decorators and DIYers alike. Why? #1. Regal is very satisfying to apply – rewarding, even. Smooth, thick coats ensure excellent coverage in fewer coats than the average brand. That means fewer gallons in your shopping cart and a faster finishing time. Reclaim your weekend and your wallet! #2. Only Regal is available in Benjamin Moore’s luscious ultimatte finish, which holds your selected colour marvellously while also being ultra-washable, a rarity for a matte finish. Normally, one would reach for a higher sheen paint for easier-to-clean surfaces. Not with Regal – achieve a soft, matte look that’s durable too. #3. Regal is also a welcome relief when you need to re-paint a few touch-up areas. Touch ups can be frustrating when the repainted area becomes more noticeable than the original. Not with Regal – bootscuffs and fingerprints are easily repainted, and your touch up will disappear seamlessly.